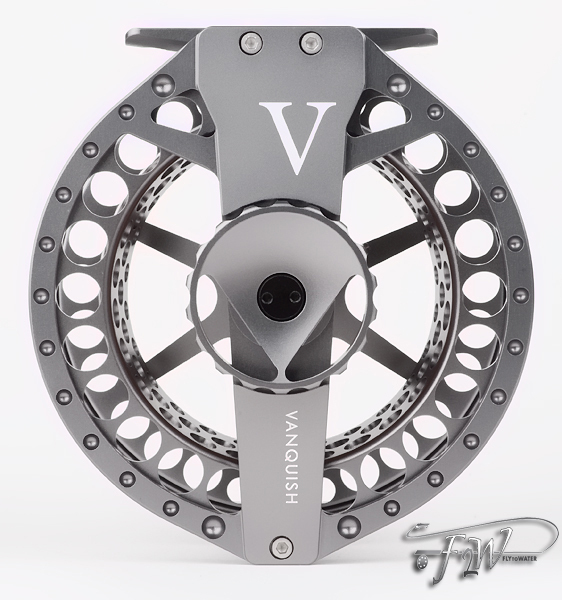 The Waterworks/Lamson has always been a self-professed function over form reel manufacturer. Customers have come to expect toughness and reliability without a price premium from this Idaho, USA-based company. Lamson's proprietary Hard Alox finish (derived from the aerospace industry) has a reputation for standing up to heavy abuse, but lacks the appeal and variety to be had among the competition. Bringing to mind Henry Ford's famous remark - Lamson customers can have any color they like, as long as it's GREY. Visual design has also been less of a priority, with performance coming first. This is a strategy that seems to make great sense in the value segment of the reel market, but can be a handicap as prices rise. With companies like Hatch, Nautilus, Galvan, and others offering high performance eye candy, some Lamson models seem lackluster by comparison. At some point the folks up in Ketchum, Idaho decided enough was enough, and the Vanquish was born. 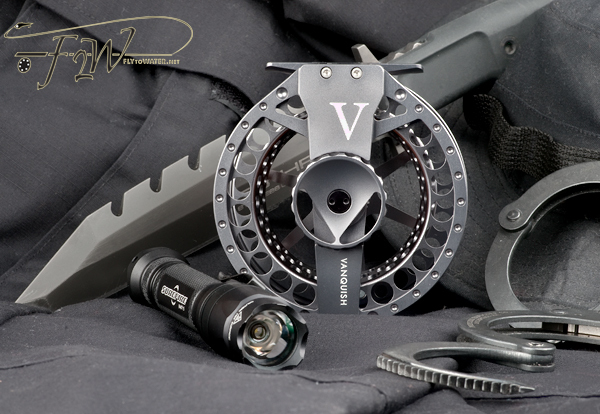 The goal was to create a fly reel without compromises that would out perform anything in the marketplace. 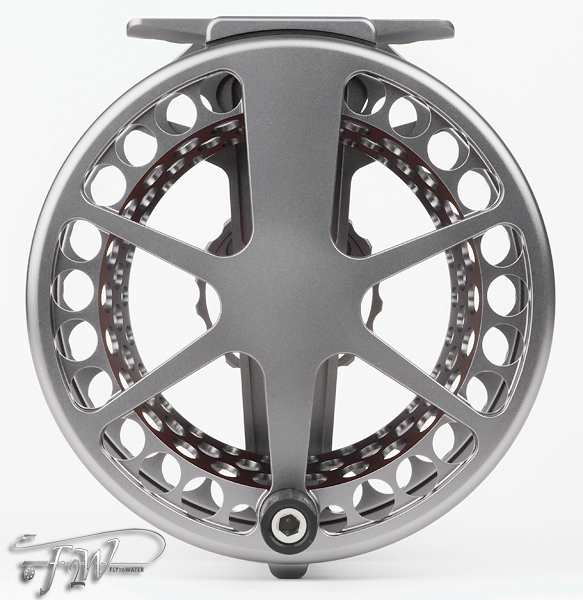 Most of Lamson's reel models sell in the $100 to $350 price range, with some ULA Force offerings in the mid $500s. The Vanquish release brought price tags of $800-$900. 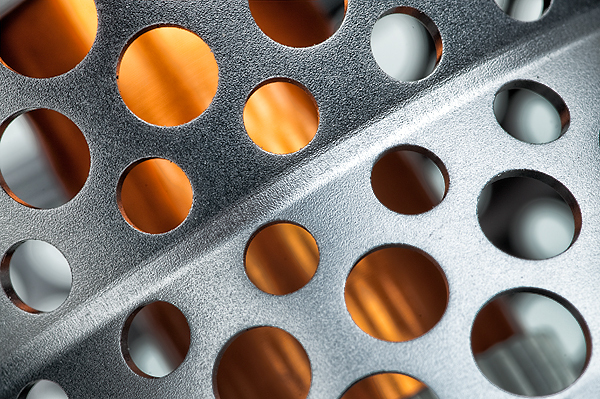 The amount of machining on this reel is pretty staggering. Weight has been minimized at every possible turn, and the heavily ported spool is absolutely feather light. The drag knob is large, has just the right amount of resistance to avoid accidental adjustment, and the "V" shape creates a very useful reference point for repeatable settings. I have always loved numbered drags for this reason, and this setup is almost as good. The finish... is Hard Alox - and flawless. 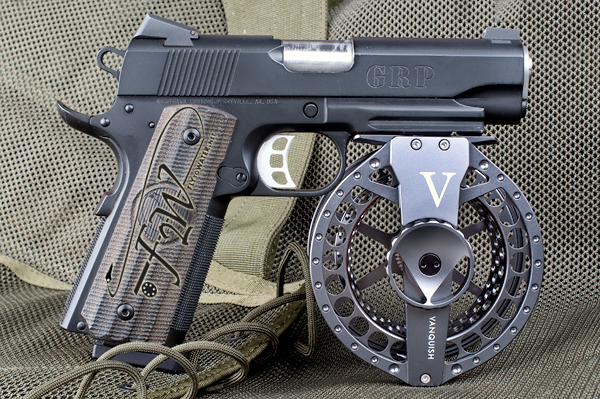 Ultimately I do think that Lamson would do well to introduce color variations (at least matte black) into the lineup. At steep prices, customers tend to want a little personalization. Still, the Vanquish is a limited production model, and brings with it a certain amount of exclusivity. After spending some time with this hardware, the Vanquish had a familiar yet difficult to describe presence about it. It finally dawned on me that Lamson's Formula 1 entry was nothing short of tactical in appearance and function. While not fluid in visual design, it has a visceral impact similar to assault weaponry. 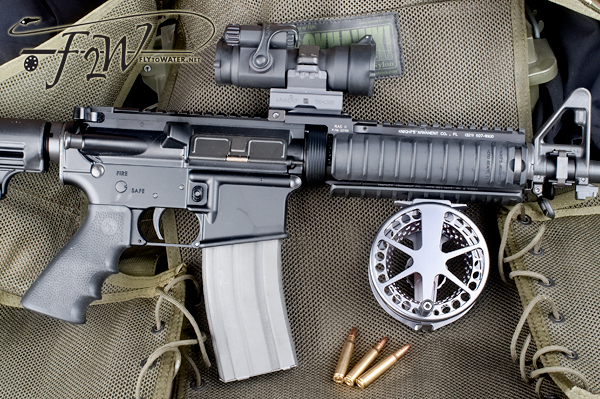 The Vanquish has the go anywhere, do anything attitude of a military M4 carbine. You half expect this thing to come from the factory with a picatinny rail mount. 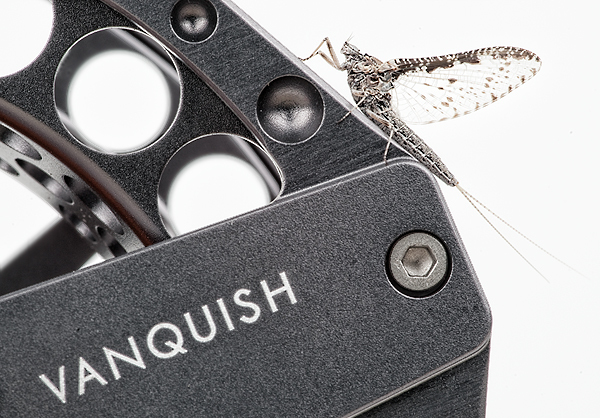 If you have fly fishing black ops in mind, the Vanquish will perform in the harshest conditions. The fully sealed, conical drag and uncompromising approach to build quality make this reel exceptional. Great photos, love the toys. I'm guessing we come from a similar line of work. Thanks Jersey Angler. I enjoyed your site, and have added you to my blog roll. It is a quandry Mike. My suggestion would be to stay away from www.nighthawkcustom.com - FAR AWAY. You have been warned. Thanks for the comment!